The concluding season of HBO´s Game of Thrones starts in less than two weeks and, to celebrate the return of the world´s favourite TV show, BetOnline Poker is running a series of progressive KO (PKO) tournaments plus a special “King of Thrones” leaderboard competition to reward players who achieve the most knockouts with a share of $15,000. The King of Thrones series consists of up to eight PKO tournaments each day with buy-ins starting at $2.20. Multiple formats of Texas Hold´em are included in the tournament schedule – heads-up, 4-Max, 6-Max, and 8-Max – plus some tournaments have fast-fold (“Boost”), turbo, or hyper-turbo formats. The series has just started and runs until Sunday 28th April. The highlight of the final day of the series is a King of Thrones Main Event at 3:45pm (all times ET). This Main Event has a buy-in of $55.00 (prize pool = $25.00/bounty = $27.50/fee = $2.50) and a guaranteed prize pool of $15,000. However, there are two further tournaments being advertised as “Mains” on the same day with significantly different formats. The “Mains” at 1:45pm and 6:45pm respectively have buy-ins of $11.00 (bounty = $10.00/fee =$1.00) as, as the buy-ins do not contribute to the prize pool, neither have guarantees. Furthermore, instead of winning 50% of a player´s bounty when you eliminate them – with the other 50% added to your bounty – the division of the bounty is 25%/75%. This means when you knock out a player with a $10.00 bounty, you win $2.50 and your bounty increases to $17.50. If you subsequently knock out a player with a $17.50 bounty on their head, you win $4.37, while your bounty increases to $30.63. By the time you reach the end of the tournament, the bounties could be in the thousands of dollars; and, if you win either of the $10.00 Main Events, you will also keep the bounty on your own head – which could be a lot of money! The free-to-enter King of Thrones leaderboard competition offers a really simple way to boost your bankroll. For each knockout you achieve in the King of Thrones (“KOT) tournaments, you will be awarded one point. The points accumulate on a leaderboard and, at the end of the series, the 100 players with the most points will share the prize pool of $15,000. There is one exception to this format, which happens in what I will call the primary King of Thrones (“KOT2”) Main Event (the tournament at 3:45pm on Sunday 28th April). For this tournament only, players will receive four points per knockout – increasing their chances of obtaining a high position in the leaderboard competition if this is the only tournament they play in, but not necessarily winning it. The reason why winning the KOT2 Main Event may not guarantee you the first prize in the promotion is because there are dozens of other tournaments players can score points in – including six-times-a-week heads-up tournaments. 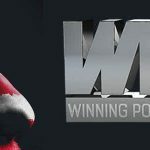 If a player were to win three of these tournaments – each one having 128 entries – they would collect 21 leaderboard points – more than you would collect for knocking out five players at four points each in the Main Event. The King of Thrones leaderboard competition has been running since Monday, and you can see how many points your opponents have already collected by looking in the “Active Contests” of the poker client. 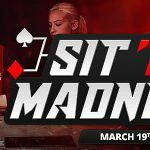 Even if you feel the Iron Throne is beyond your reach, it could still be worth visiting BetOnline Poker today, as the site is hosting hyper-turbo Sit & Go qualifiers to the King of Thrones Main Event. 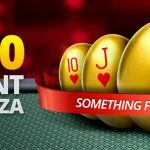 Win one of these valuable seats, and you could be up for a massive payday on 28th April, as the bounty element of progressive knockout tournaments often pays more than the prize money – and the primary King of Thrones Main Event has a guaranteed prize pool of $15,000 – so the bounty prizes are going to be considerable. 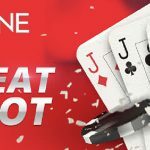 Visit BetOnline Poker today to find out more.